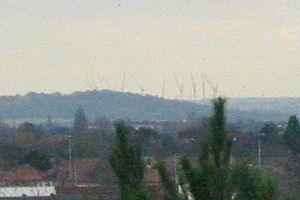 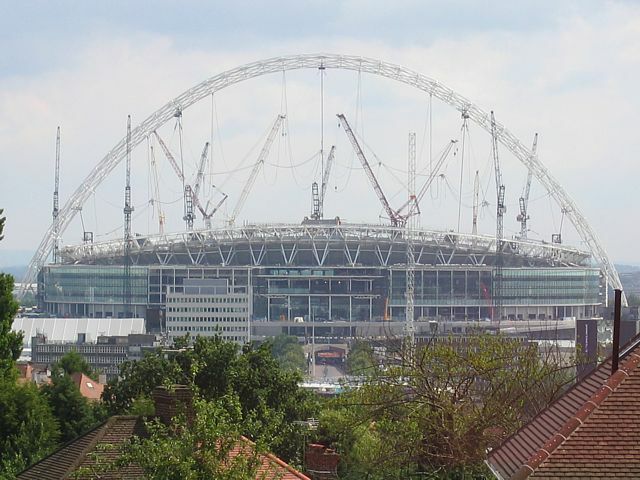 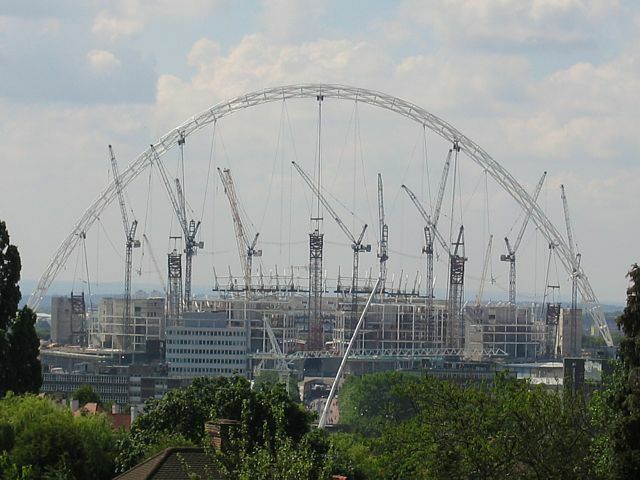 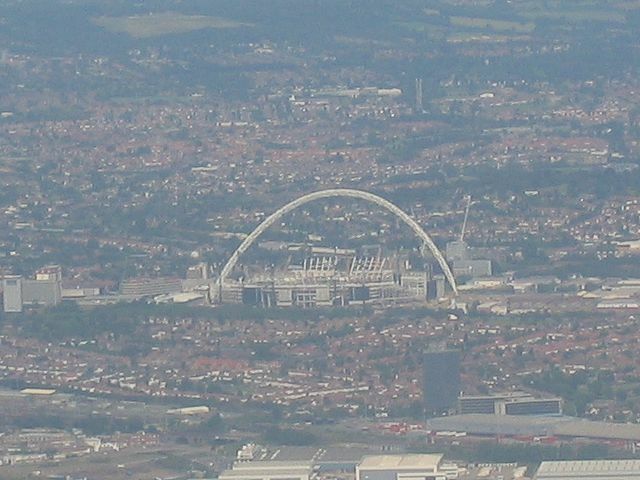 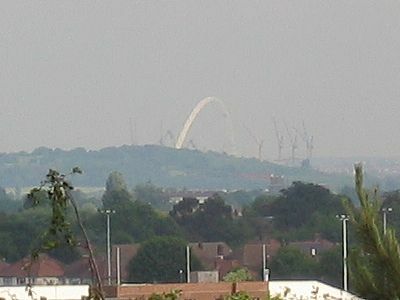 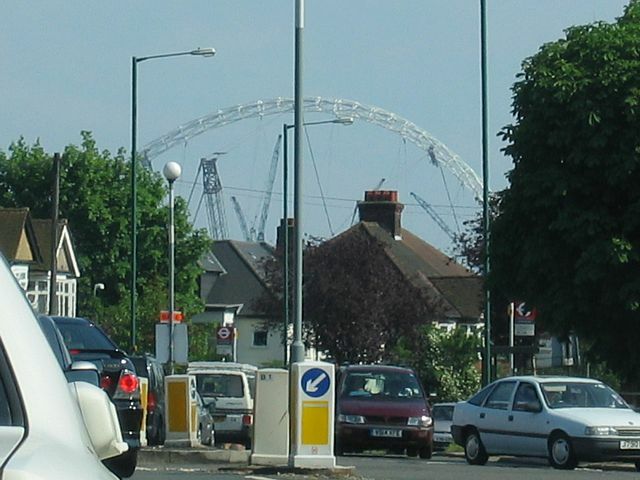 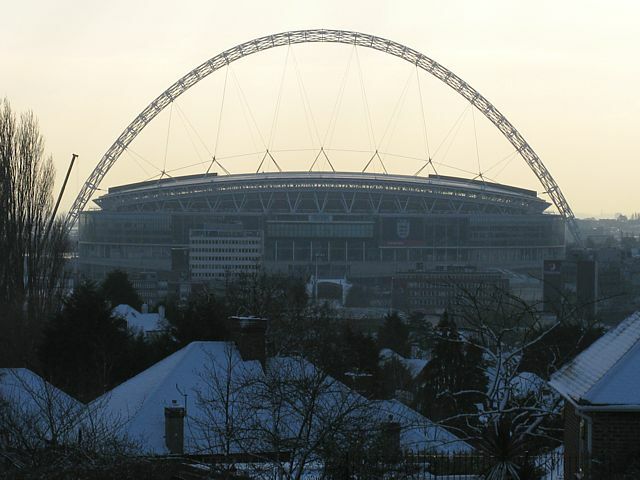 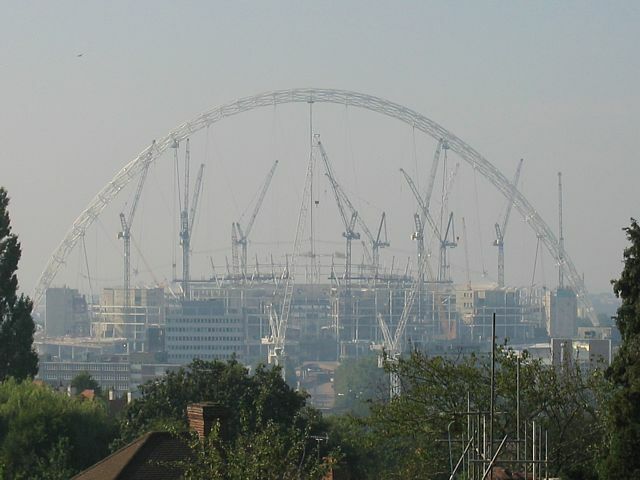 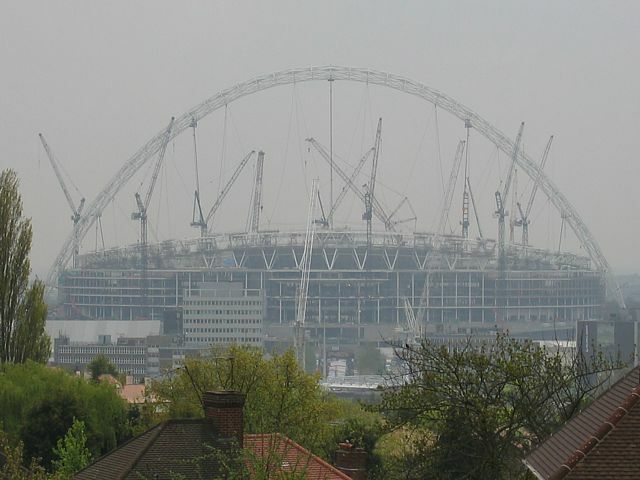 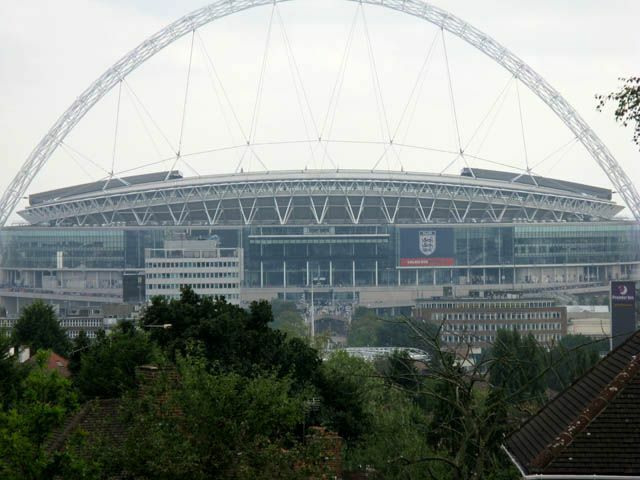 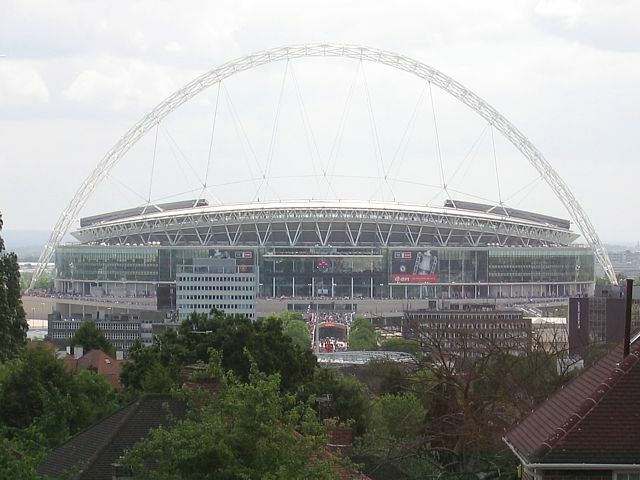 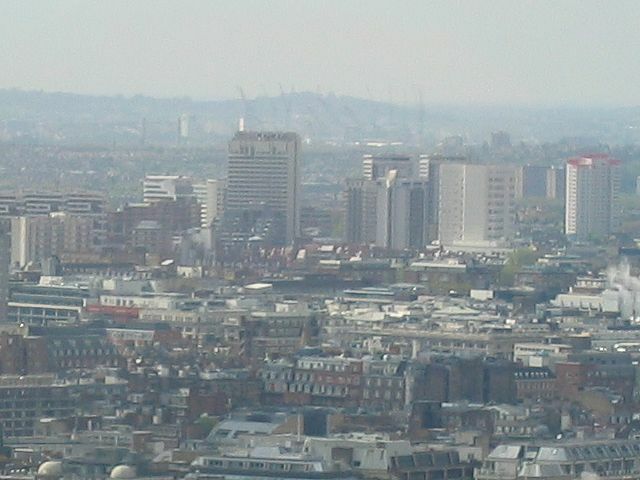 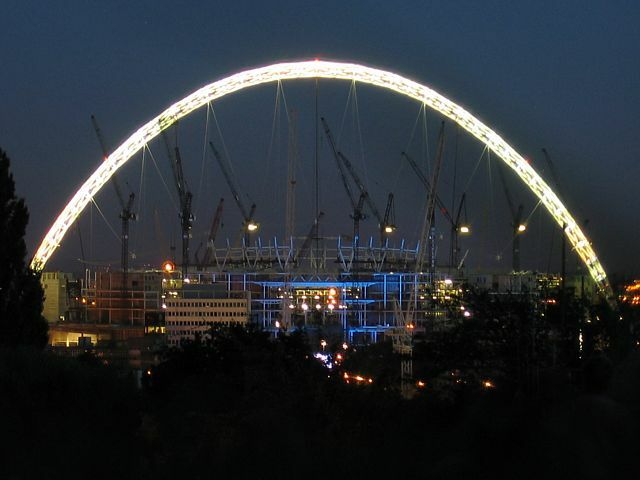 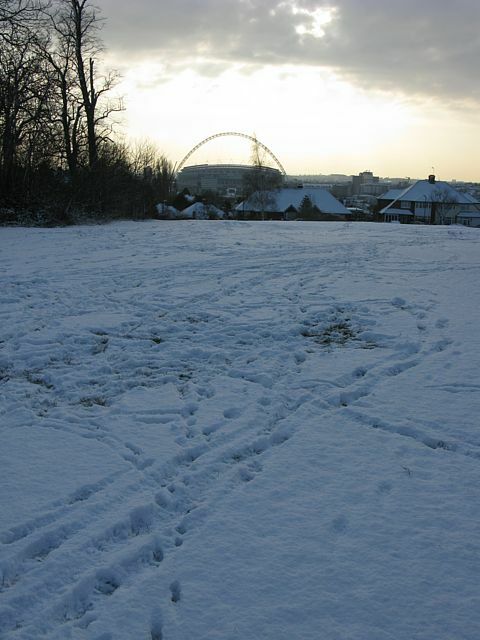 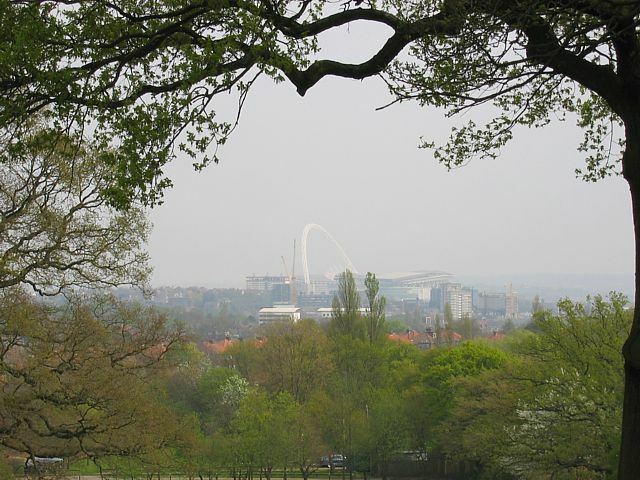 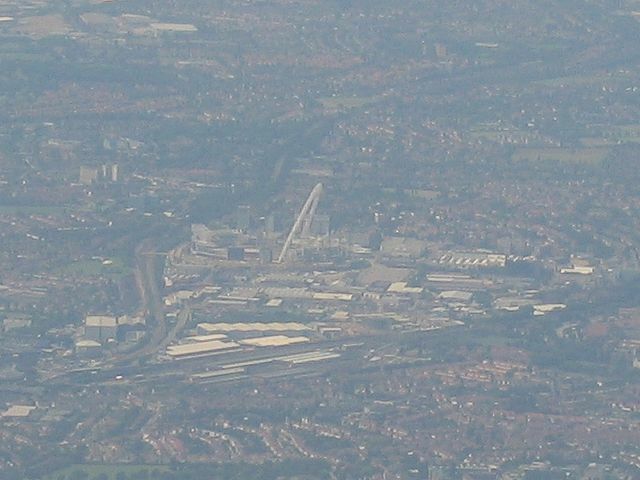 During 2004 I have been taking pictures of Wembley Stadium from the top of Barnhill. 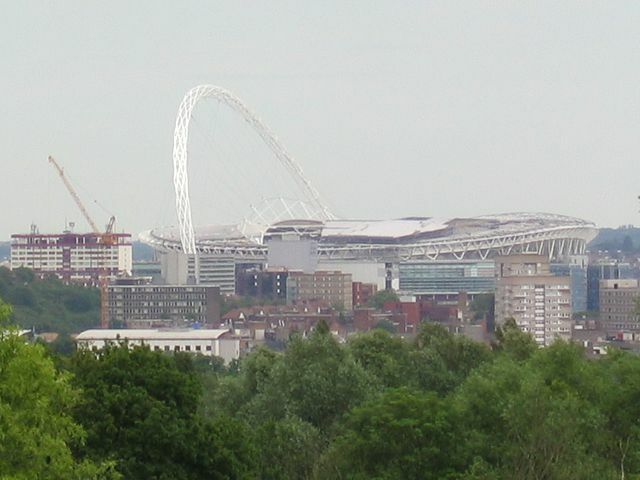 This vantage point provides a great view directly down Olympic Way to the front of the stadium. 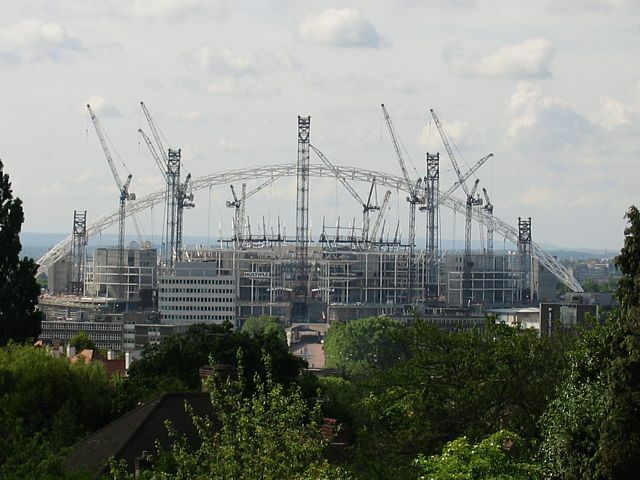 See how the building works are proceeding below. 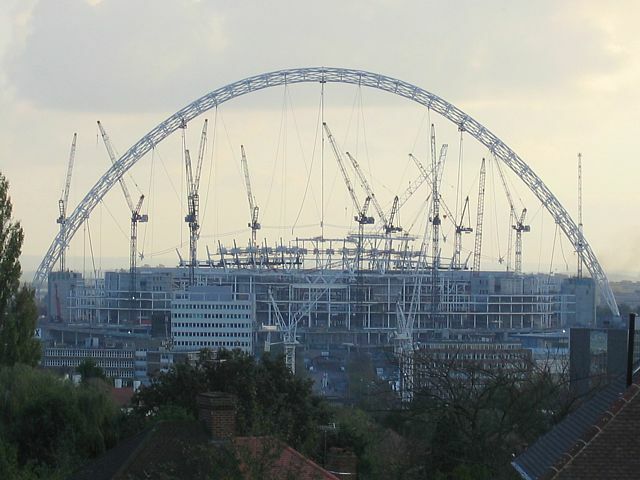 I plan to take a picture from the same spot roughly every 3 months until the new stadium is complete. 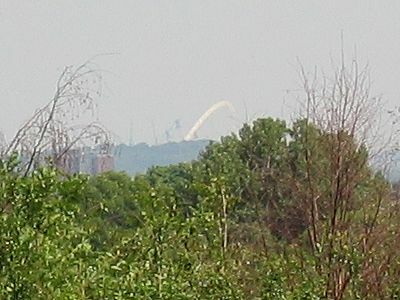 Although if there are any special events (like when the arch was being raised in May / June) then I may go back more often. 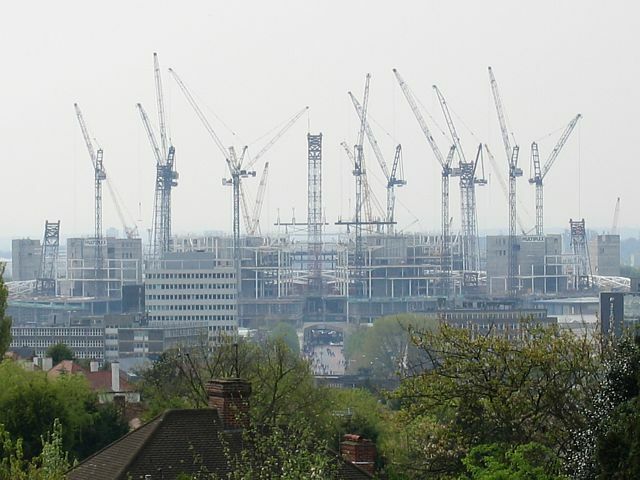 So please do come back to see how the stadium is progressing. 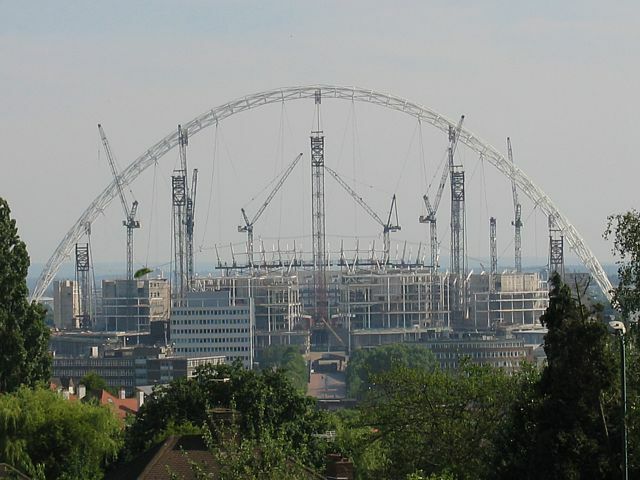 By 2006 the outside has been completed. 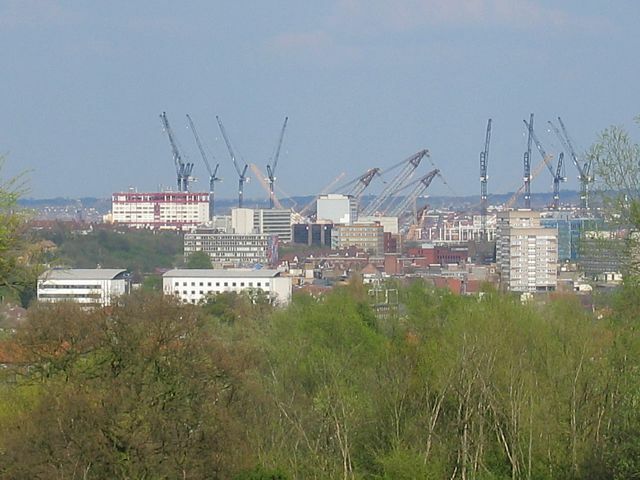 As you can see the only change now is the lack of cranes. 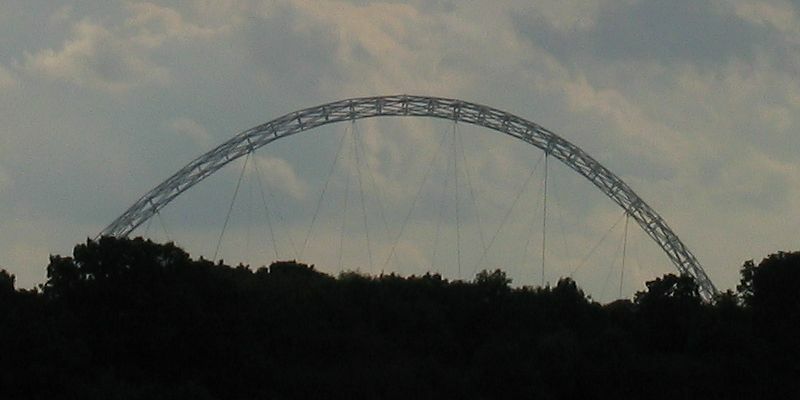 The raising of the arch. 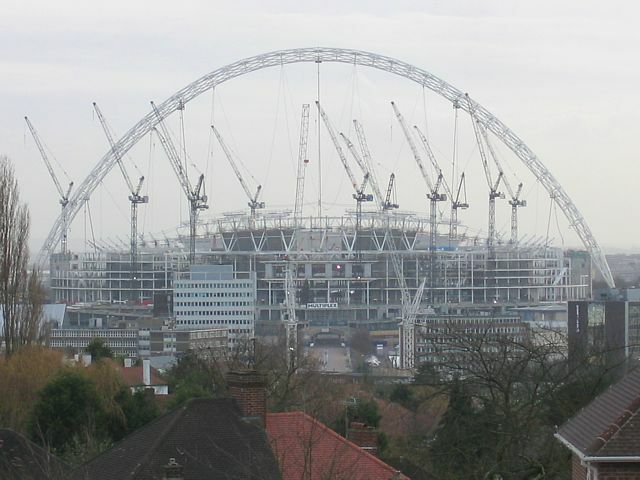 At last the FA Cup returns to Wembley following completion. 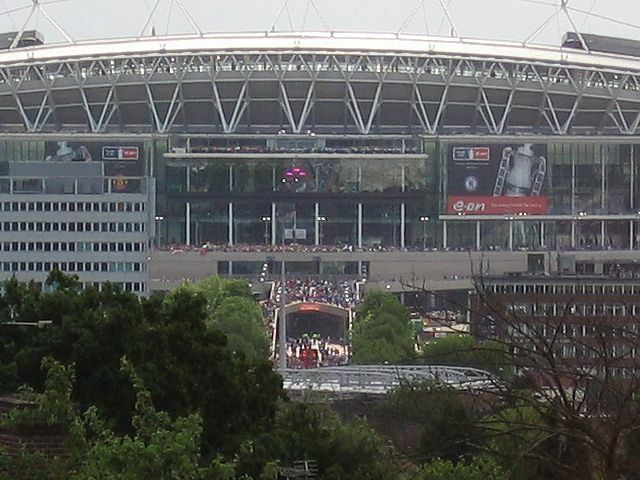 May 19th 2007 - Views of the stadium with crowds entering. 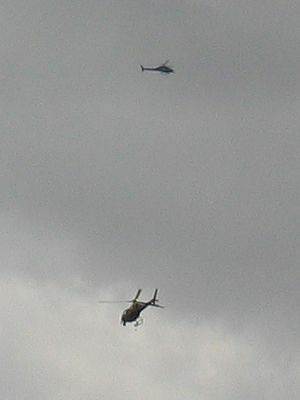 May 19th 2007 - Helicopters flying above the stadium. 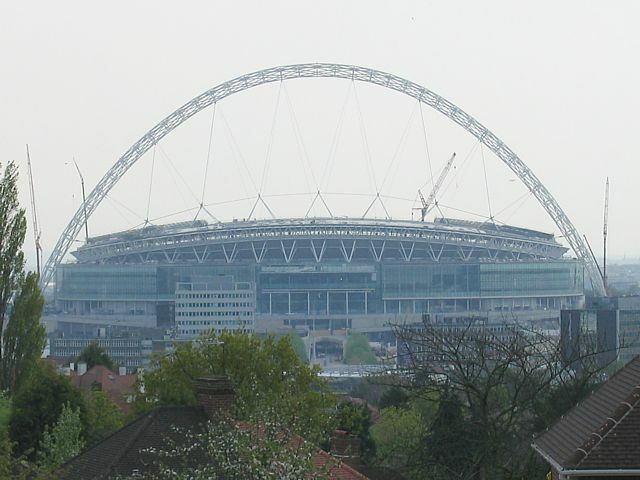 May 19th 2007 - The Red Arrows perform a flypast before the match starts. 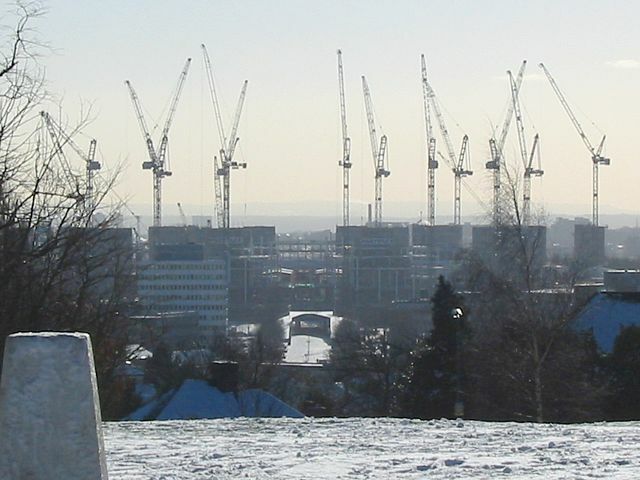 Seen from places other than the top of Barnhill.